So you’ve prayed and prayed about something and don’t feel as if God is listening? 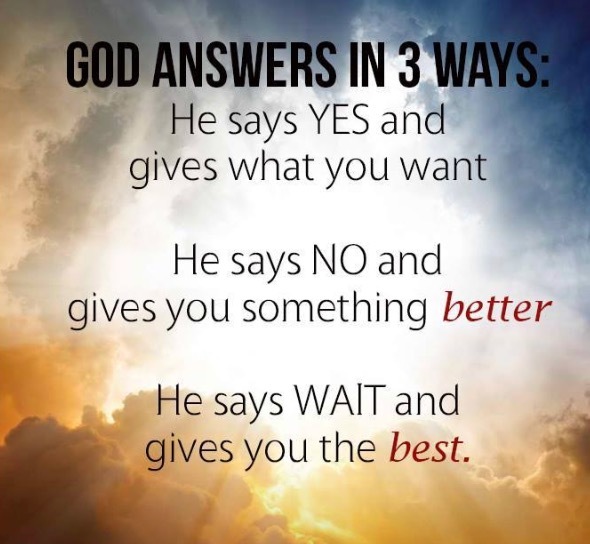 Remember, God is wiser, more loving than you and knows what is best and wants what is best for you. So, if you feel God is not answering your prayer, resist that temptation of doubt, and switch on your “Trust and Believe” button.